On January 3, 2014, we went to Hollywood Studios. We started with the Beauty and the Beast Live on Stage musical. It was pretty chilly but as soon as the characters came on stage, we forgot about how cold we were and really enjoyed the show. After the show, we walked over to Hollywood and Vine to check in for lunch. There was a buffet lunch, characters, and dancing. The kids enjoyed meeting Jake, Oso, June, and Handy Manny. Of all the places we ate, this is the place that surprised me the most. Last time we went in June 2010, we went to Hollywood and Vine for breakfast so we hadn’t had the lunch before. It was delicious. 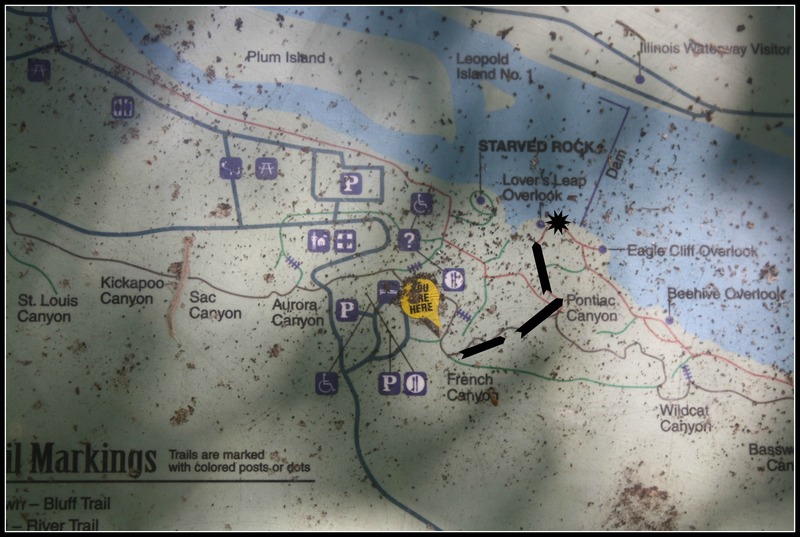 After lunch we walked around Echo Lake and toward Streets of America. 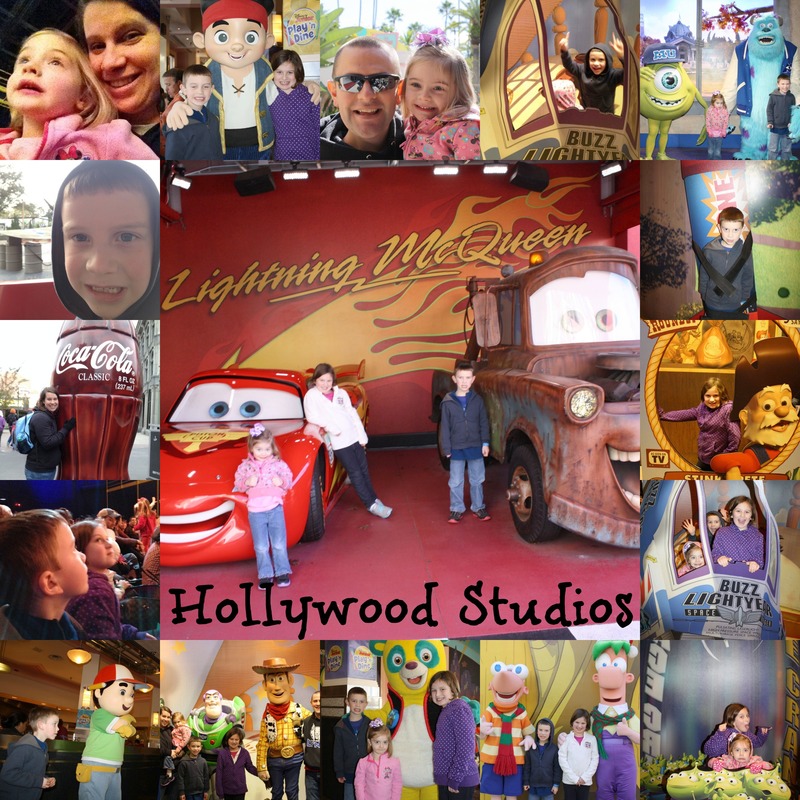 We saw Muppet Vision, met Phineas and Ferb, went on the Studio Backlot Tour, met Mike and Sully, and then headed toward Disney Jr.-Live on Stage! We had a Fast Pass for that. I’m not sure it was completely necessary to get in, but we were able to set in the middle section in the second “row” (the seating is just on the floor). So, it was nice to be able to get up front. After Disney Jr., we went to Toy Story Midway Mania! That has to be my favorite ride at Hollywood Studios. It is too bad that most other people must feel that way too. The line is always so long and now with the Fast Pass+, we were only able to get one fast pass for Toy Story Midway Mania. Then we went through the line to meet Buzz and Woody. It is nice that there are things to entertain the kids on the way through the line. We ended our day at Voyage of the Little Mermaid. We sat in the front row and had a great view of the production. When we got back to the hotel, we ate at the World Premier Food Court. 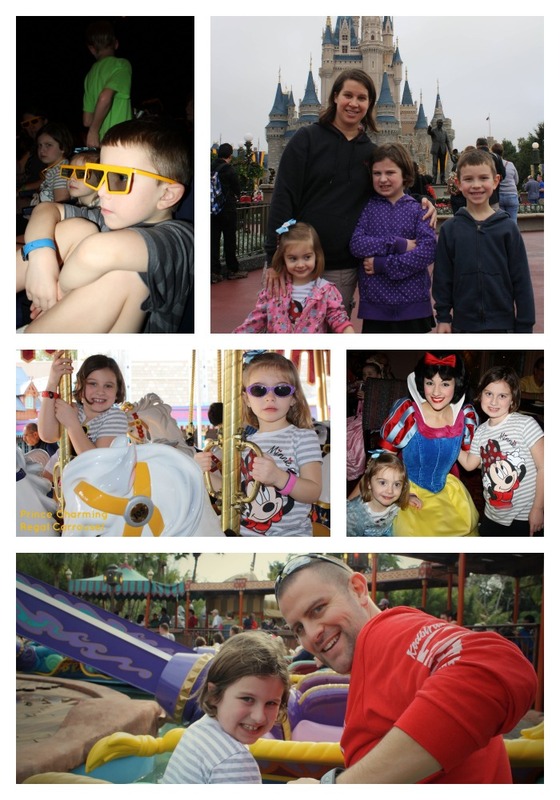 After eating dinner, we headed back to the room and got ready for another day at Disney. That included a trip to the laundry room and getting bags packed for the next day. It took me a few days of trial and error, but I finally found the answer of how to utilize snack credits! 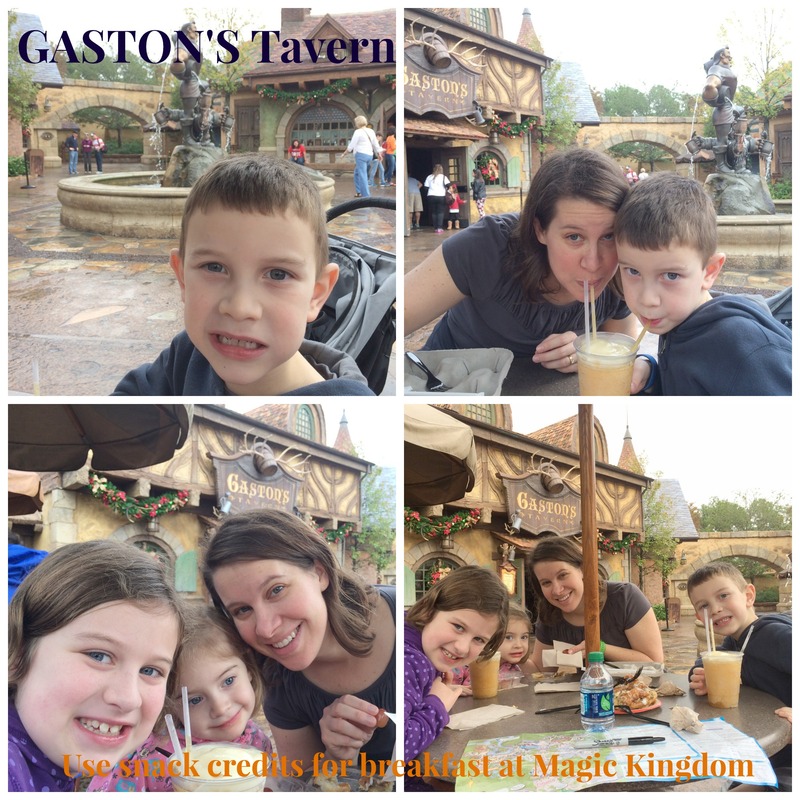 As soon as we got to Magic Kingdom, we made our way to the back of the park to the new Fantasyland area and went to Gaston’s Tavern for breakfast. I went in to order while Derek and the kids snagged a table outside by the fountain. I ordered 2 LeFou’s Brew in a regular cup, fresh fruit, and a warm cinnamon roll. The menu price of the LeFou’s Brew was $4.49, but I used snack credits for those and the price of the cinnamon roll was $3.99, which I also used a snack credit for. The drink is a frozen apple juice slushy with a fruity foam on top. It was a pretty big cup and if I had it to do over, I would have ordered just one. Because it was icy, it lasted through all 5 of us for breakfast. Even though the cinnamon roll was big, I would have ordered two. It was so good. We all devoured it. It was warm and gooey and yummy! While we ate, we looked at the Magic Kingdom map and came up with our plan of attack. The kids enjoyed the breakfast and eating outside by the fountain was nice. 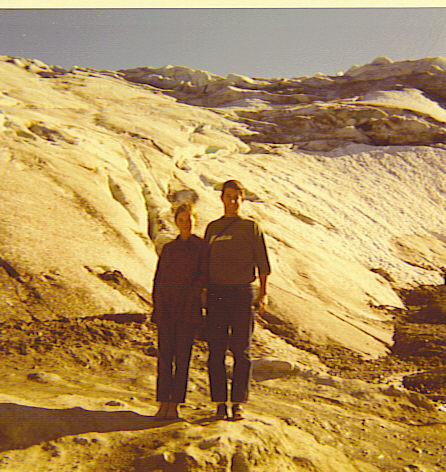 This is my Mom and Dad in Alaska in 1971. 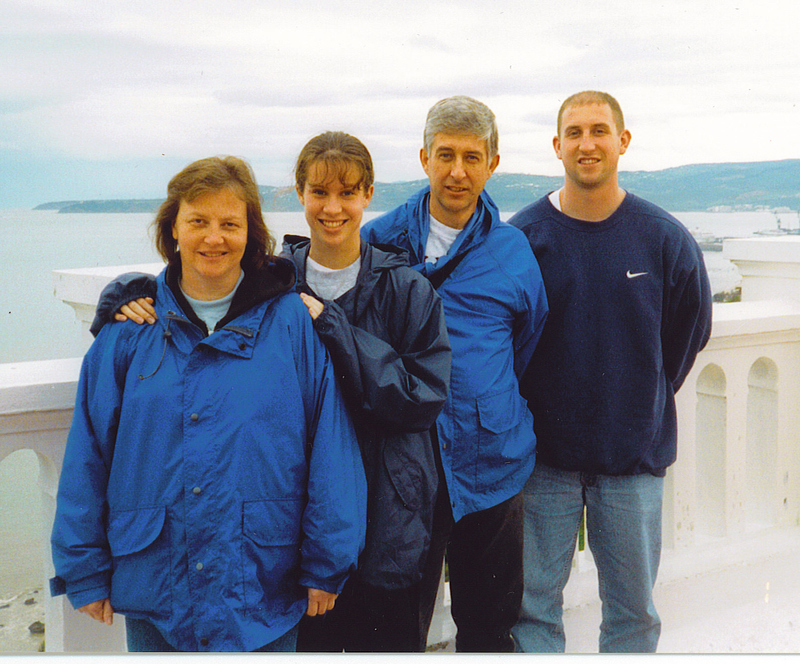 They traveled in a camper with my grandparents from Illinois to Alaska. 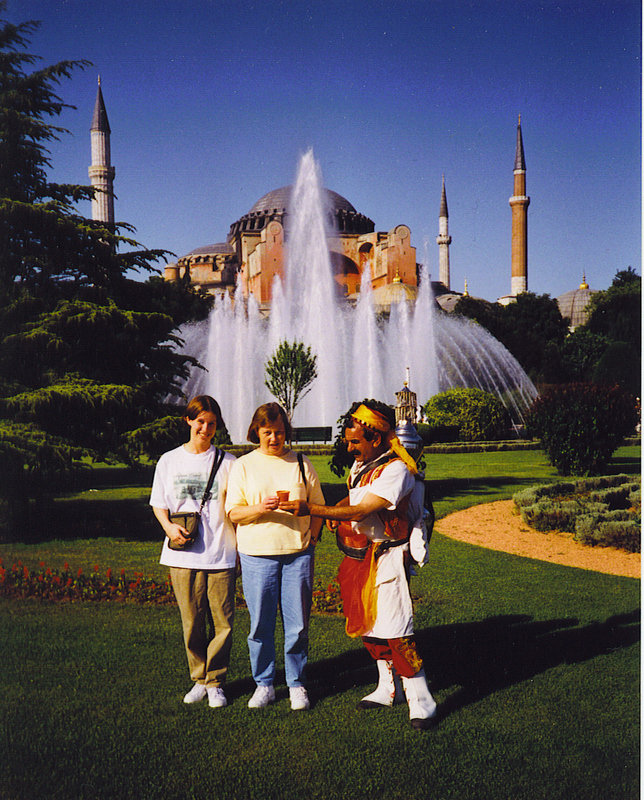 This is why traveling is in my blood. Characters. Characters. MORE Characters. The first time we went to Disney World with the kids in 2010, I really had no idea that character meetings were such a big deal. 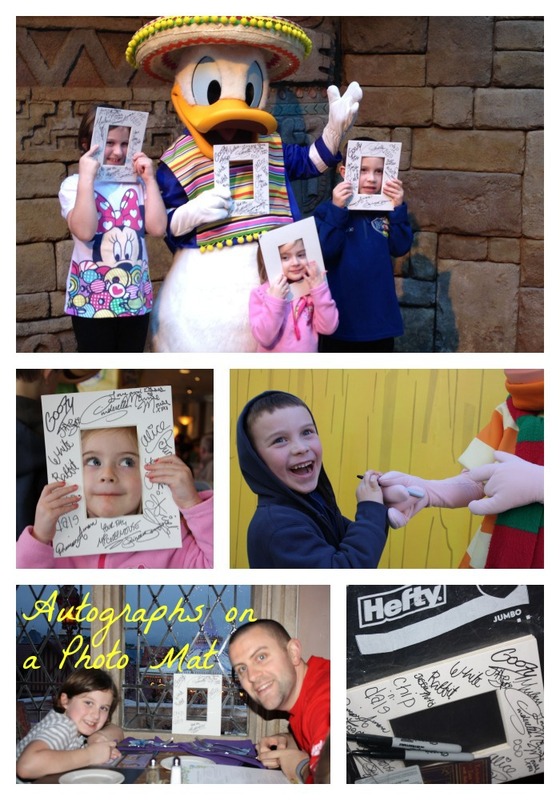 Before we left, my sister-in-law bought the kids autograph photo books. Abby loved it. She wanted to meet all the characters. The books are really cute and a nice souvenir, but they never get taken out. No one ever looks at them. This time I wanted something for the signatures that I could display. I decided to use a photo mat. I found these at Hobby Lobby. The opening is a 4×6 and the mat fits into an 8×10 frame. I also read that click top Sharpies are easy for the characters to use and they worked out really well. We didn’t have caps to keep track of either, which was nice. I kept our 4 mats (one for each kid and one for Derek and I to share) and the markers in a gallon size slider baggie (yes, I have a baggie problem!). It fit well in our backpack and was easy to carry around. The characters seemed to have no trouble with the mat or the markers. The only problem was that they filled up fast. If I had it to do over again, I would have bought 2 for each kid. Maybe have all the princesses sign one and other characters for the other. As it turned out, the characters just signed both sides so if we want to, we can flip the mat around, although I doubt we ever will. 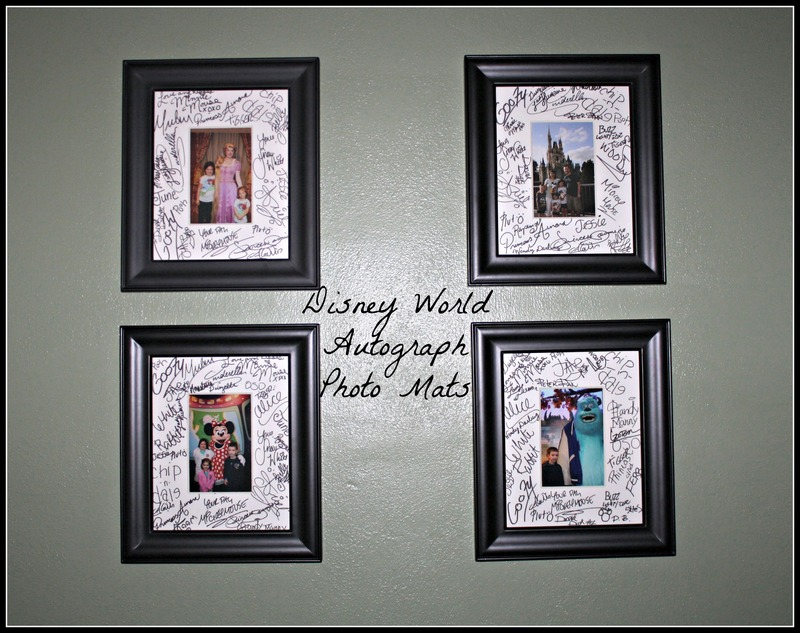 The end result is an amazing and not very expensive souvenir that we get to look at every day hanging in the playroom.